Select the MX version from the drop-down menu. Note that MX 4.4 does not support installing licenses and configuring simulscan, so select MX 4.3 if these options are required. 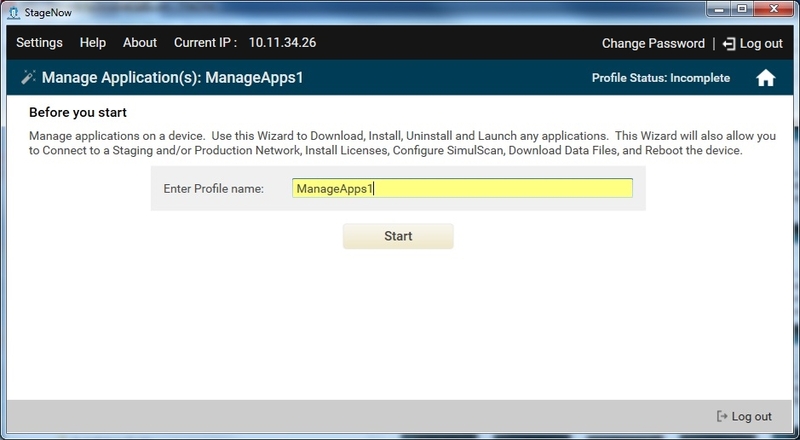 Select the Manage Applications Wizard, and select Create. Select whether or not to uninstall an application. If you select Yes, see Setting Types / AppMgr for information on uninstall options. a. Select whether or not the application requires license management (MX 4.3 only). See Setting Types / LicenseMgr for information on license options. b. 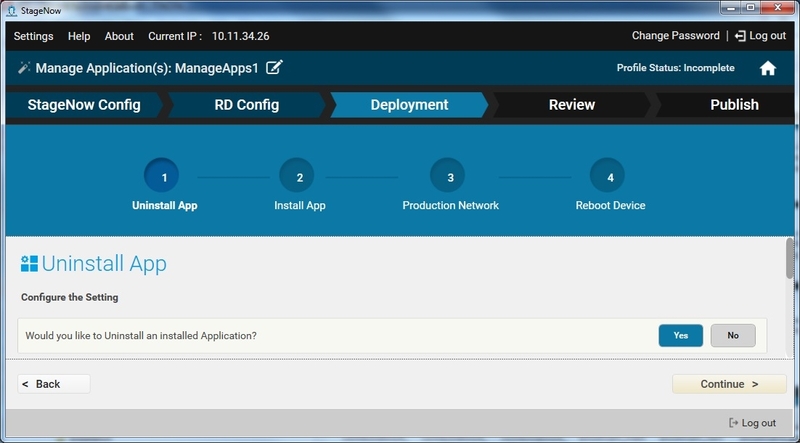 Select whether or not the application leverages SimulScan (MX 4.3 only). If you select Yes, select the application used to access SimulScan, and whether or not to download a template file or other file to the device. See Setting Types / FileMgr. c. Select how to install the application (.APK) file. To download the file, see Setting Types / FileMgr. To install the file, see Setting Types / AppMgr. d. Select whether to download an application data file. If you select yes, See Setting Types / FileMgr. e. Select whether to launch an APK file. If you select yes, See Setting Types / Intent. 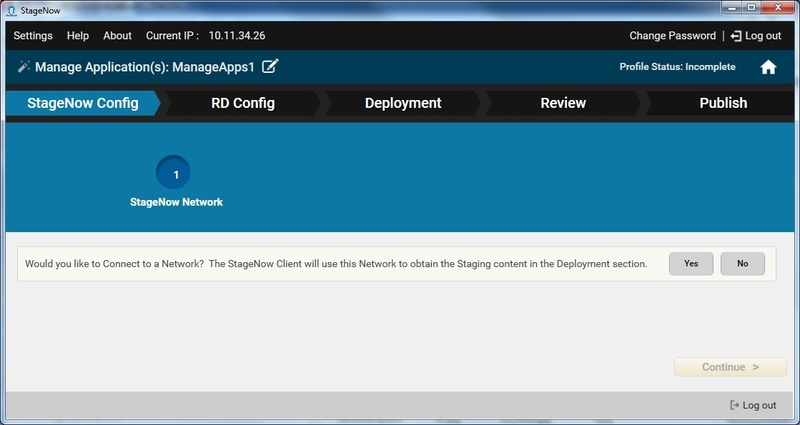 Select whether or not to connect to another network to use after staging. If you select Yes, see Profiles / Connect Network for instructions. Select whether or not to reboot the device. If you select Yes, see Setting Types / PowerMgr for information on reboot options.